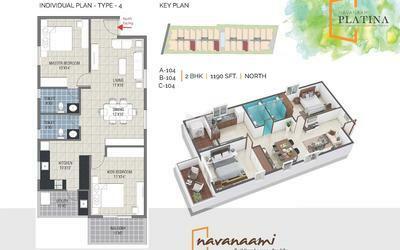 How Far is Navanaami Platina? Thanisandra, one of the upcoming residential hubs is also holding an ample number of projects. Placed very close to many IT park and hubs this locality is coming up with Metro Facilities and many more infrastructure developments in the Future. Navanaami Platina on of the dream come perfectness, has the sun rays wake you up every morning and keep your company throughout the day. The project built with 2 BHK Apartment built with luxury floor plans of suitable compact spaces Let the bright cheer of natural light & fresh air touch every reach of your home and reflect in everything you do. It'll be a sunshiny day, every day. The project is located at a prime address in the prime location of Thanisandra Main Road. 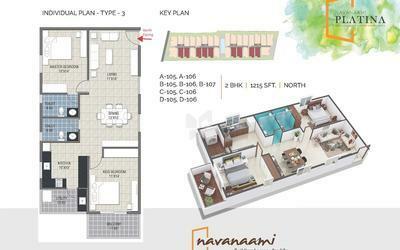 Navanaami Platina is designed with a multitude of amenities spread over 1.00 acres of area. Pull your drapes aside and throw the windows open. Sunlight will pour in right from the large windows in all the rooms. The way the home are planned, absolutely nothing can stop the passage of natural light and breeze air. We've done away with the unwanted walls and passages making sure the light is unobstructed. Each window looks out onto open landscapes all around. Spaced with perfect home plans, styled in luxury-built apartments. 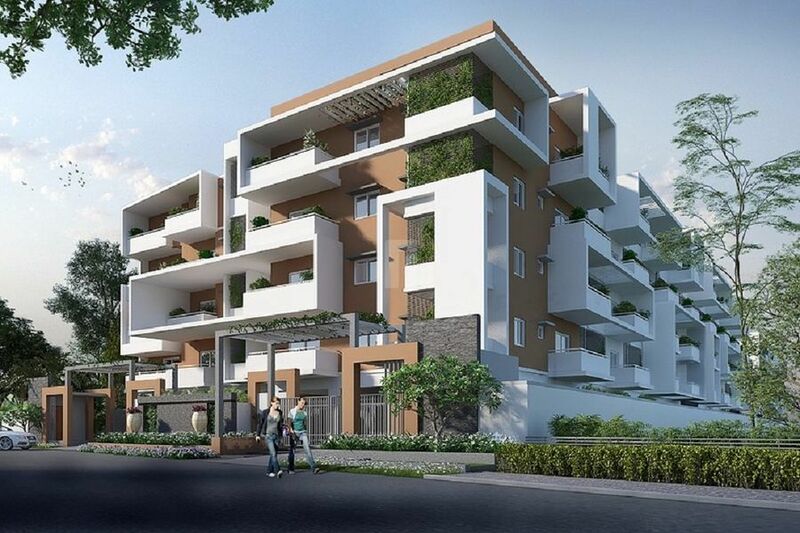 Along with apartments in Thanisandra this project offers an array of amenities for the benefit of the residents, some of them are Gym, Yoga/Meditation Hall, Jogging Track, Indoor Games, Swimming Pool, Clubhouse, Intercom, Amphitheatre, Children's Play Area, Rainwater Harvesting system, Sewage Treatment Plant and Car Parking.